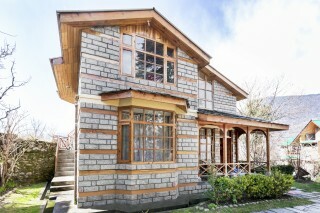 Located at a distance of 2.2 km from Nicholas Roerich Art Gallery, this is an offering of a three bedroom cottage. The cottage on offer can accommodate up to nine people and is ideal for nature lovers. 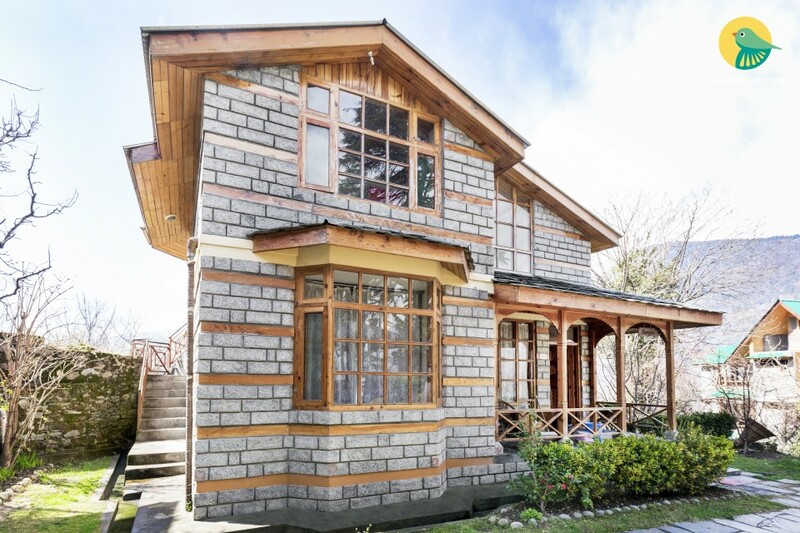 The property flaunts an exposed stone-brick exterior and welcomes you with a tiny porch, girdled with wooden railing typical of a mountain cottage. 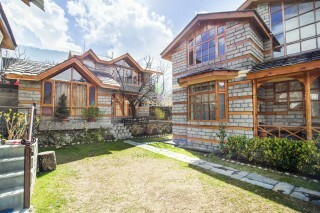 It features a lawn marked with stepping stones which lead to the cottage. The interiors feature woodwork and add a touch of warmth to the establishment. The living room boasts a laminated wood flooring and is furnished with plush couches with a glass topped coffee table and a couple of chairs. The kitchen is functional and equipped with a gas cooktop, a refrigerator, and a water purifier for convenience. The bedrooms on offer flaunt laminated wood flooring and partially wood-panelled walls and are furnished with double beds with bedside cabinets, coffee seating, compact wardrobes, and storage shelves for convenience. 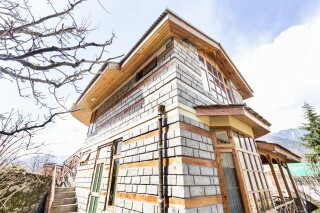 The rooms open out to balconies where you can sit and enjoy a cup of steaming tea with your loved ones. The en suite bathrooms are appointed with western sanitary ware. 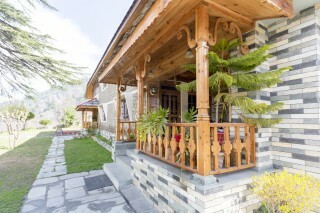 Set-up in the picturesque landscape, this luxurious and cosy cottage is located at a distance of 20 km from Manali. 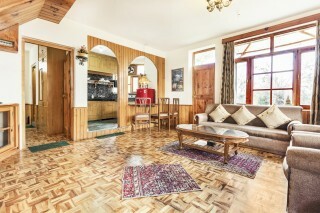 This property welcomes you with a spacious and furnished living area and a separate dining room. All the three bedrooms have, huge glass windows allowing you to enjoy the breathtaking view, a separate attached bathroom and balcony. 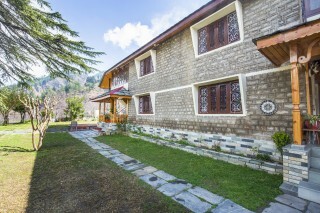 There is a well maintained private garden where you can sit back & relax and a well stocked kitchen for your comfort. 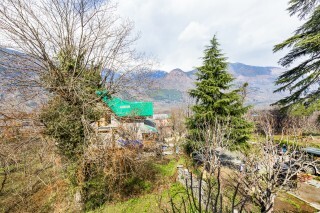 This property offers you great value for money and is best suited for large families or groups and can comfortably accommodate a group of 10 people.